Students learn about fire safety. 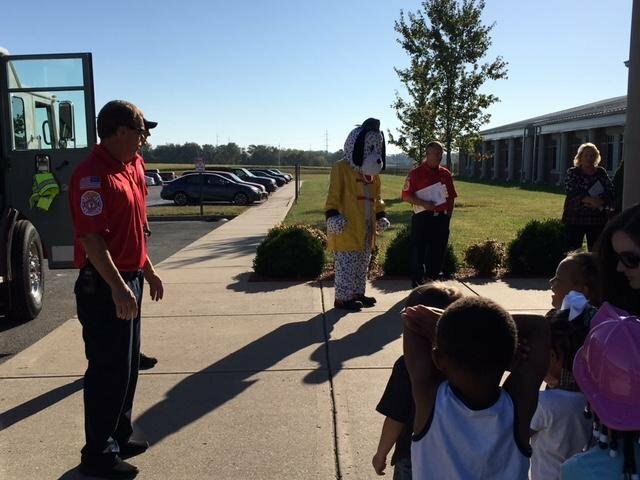 MLK was happy to learn about fire safety through a visit from local firefighters durign Fire Prevention Week. Preschool, Kindergarten, 1st and 2nd grade students were awed by the fire truck, the uniforms and hat, as well as Sparky, the Fire Dog. Students climbed through the fire truck and learned about creating a fire excape route with a fire safety lesson. These efforts were to educate students and families on the importance of fire safety and how to be prepared. For more information on creating your family's fire safety plan, click here to visit the Hopkinsville Fire and Emergency Services webpage or the National Fire Protection Association website.